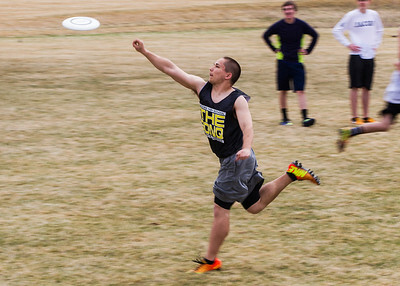 Kyle Grillot - kgrillot@shawmedia.com Jacobs junior Nick Espe runs to catch the flying disc Thursday during practice. Jacobs is one of the state's biggest teams but has to routinely travel to Minnesota and Wisconsin to find competition. Kyle Grillot - kgrillot@shawmedia.com Jacobs assistant coach Nathan Cook (center) talks with players Thursday during practice. Jacobs is one of the state's biggest teams but has to routinely travel to Minnesota and Wisconsin to find competition. 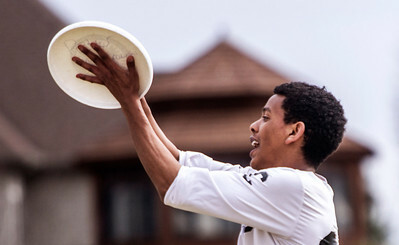 Kyle Grillot - kgrillot@shawmedia.com Jacobs senior Yared Taye jumps to catch the flying disc Thursday during practice. Jacobs is one of the state's biggest teams but has to routinely travel to Minnesota and Wisconsin to find competition. Jacobs assistant coach Nathan Cook (center) talks with players Thursday during practice. 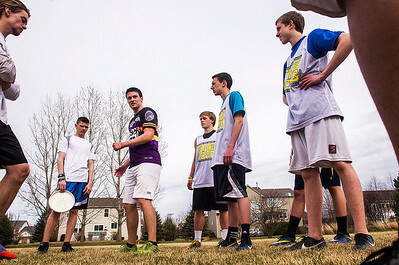 Jacobs is one of the state's biggest teams but has to routinely travel to Minnesota and Wisconsin to find competition.